The first secret to lovely chocolate truffles has nothing to do with what goes on in the kitchen – for beautiful truffles you have to have good quality chocolate. Lindt green and black is excellent and you can pick it up in most good shops. You can add in different liquors to the make the truffles – we use a lovely local liquor made in Cavan called Coole Swan. These truffles will keep for about three weeks and the covering can be anything you want from coconut or chopped nuts to anything you can imagine! 1. Place the cream in a pan bring to the boil. Reduce the heat, then whisk in the chocolate and butter until smooth and melted. 2. Stir in the Coole Swan and transfer to a bowl. Leave to cool completely, whisking every 20 minutes so that the butter will be evenly distributed. Cover the bowl with clingfilm and chill for 2–3 hours, until set firm, stirring occasionally to present a skin from forming. 3. When the mixture is cold and set, use a melon baller to scoop it into 1.75cm (3/4in) balls. Make sure to dip the melon baller in hot water to give the chocolate mixture a better shape. Arrange on a baking sheet lined with non-stick parchment paper. 4. To make the coating, melt the chocolate in a heatproof bowl set over a pan of simmering water or in the microwave. Leave to cool a little, then dip the truffles in the melted chocolate and quickly roll in the cocoa powder. Place in the fridge to set. 5. To serve, arrange the truffles on a plate to hand around to guests while they are enjoying their coffee. The MacNean Gift Card from Neven Maguire, award-winning chef of MacNean House and Restaurant in Blacklion, Co Cavan. The perfect Christmas gift for food lovers or for someone very special this Christmas, this Gift Card can be used across MacNean House & Restaurant, the Neven Maguire Cookery School, the new ‘Neven Maguire Hamper’, as well as Neven’s books and DVD collection. A beautiful surprise for those who love great food, the Neven Maguire Hamper includes Neven’s new book ‘The Nation’s Favourite Healthy Food, MacNean Christmas Pudding, a delicious Ham Glaze, Jam, Marmalade, Fig & Cranberry Chutney, Mulled Wine Spice Mix, Coole Swan Chocolate Truffles and a flavoured Donegal Rapeseed Oil. 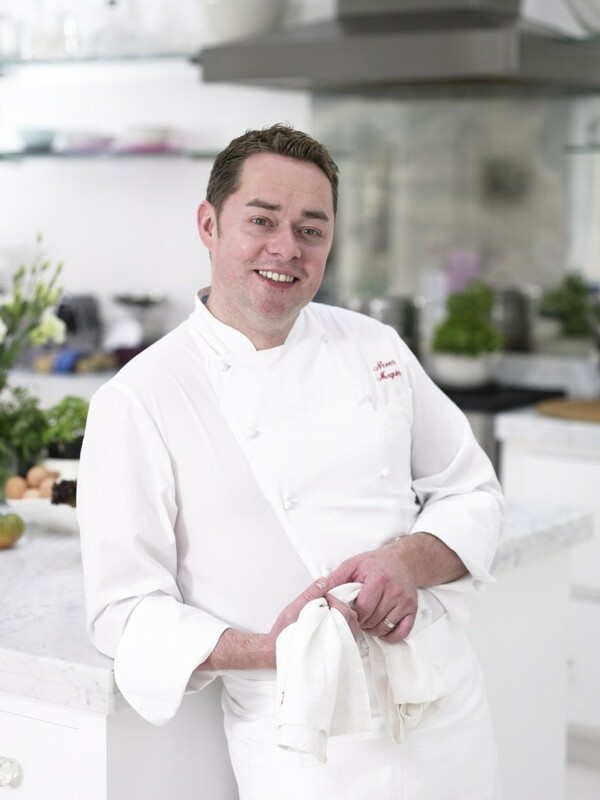 The MacNean Gift Card and the new ‘Neven Maguire Hamper’ are available from nevenmaguire.com or call 071-9853022.